Item # 313100 Stash Points: 3,495 (?) This is the number of points you get in The Zumiez Stash for purchasing this item. Stash points are redeemable for exclusive rewards only available to Zumiez Stash members. To redeem your points check out the rewards catalog on thestash.zumiez.com. 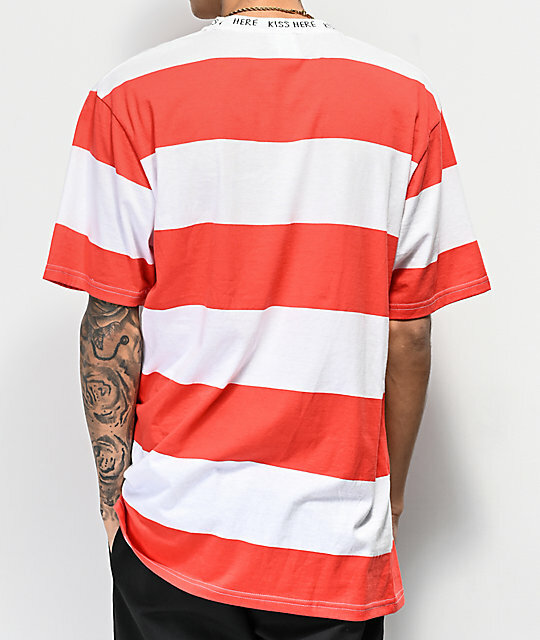 Bring bold styling to the forefront of your outfits with the Salem7 VII Red and White Striped T-Shirt. Embroidered across the chest is the Roman numeral VII in black and white, while the ribbed collar features the knit reoccurring phrase "Kiss Here." 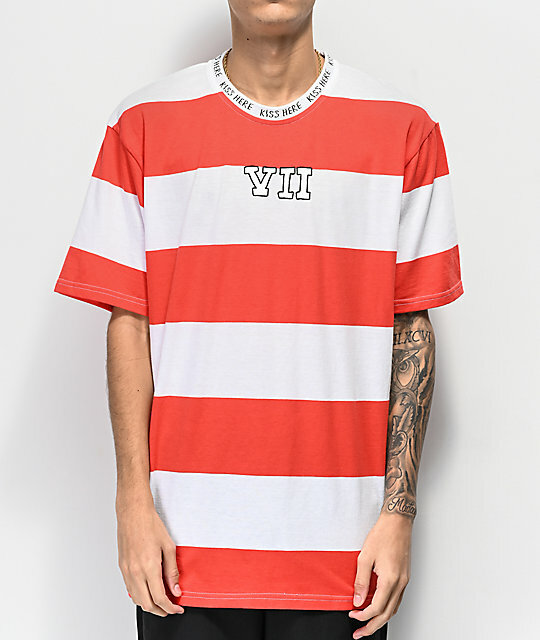 VII Red and White Striped T-Shirt from Salem7. Embroidered Roman numerals "VII" on chest. Ribbed crew neck collar with knit "Kiss Here" script throughout.